Bicyclists hit the Victory Monument intersection during the Bike For Mom pedalfest. 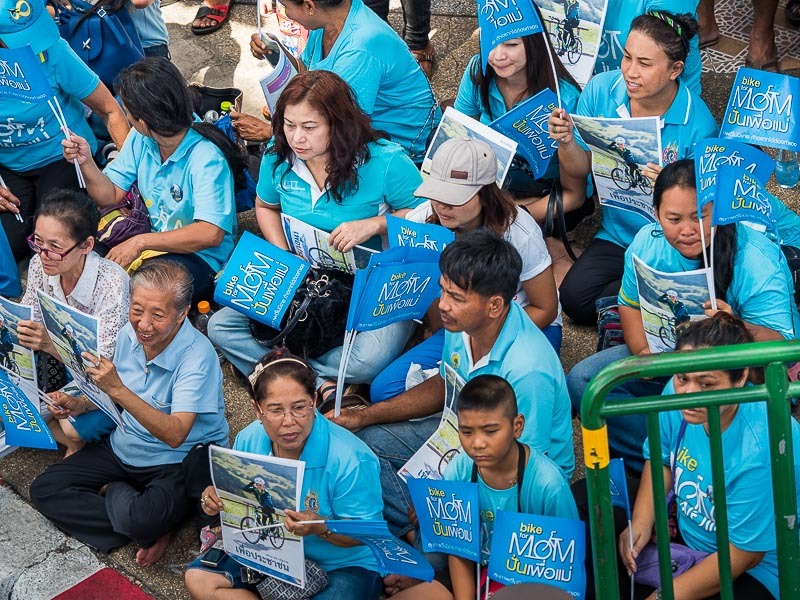 The last big public event to honor Queen Sirikit was the "Bike For Mom." 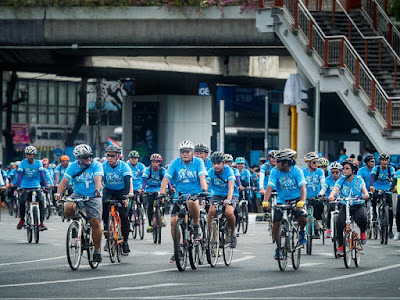 It was organized by the Thai government as a countrywide event led by HRH Crown Prince Maha Vajiralongkorn, who led the cyclists on a 26 mile journey through Bangkok. 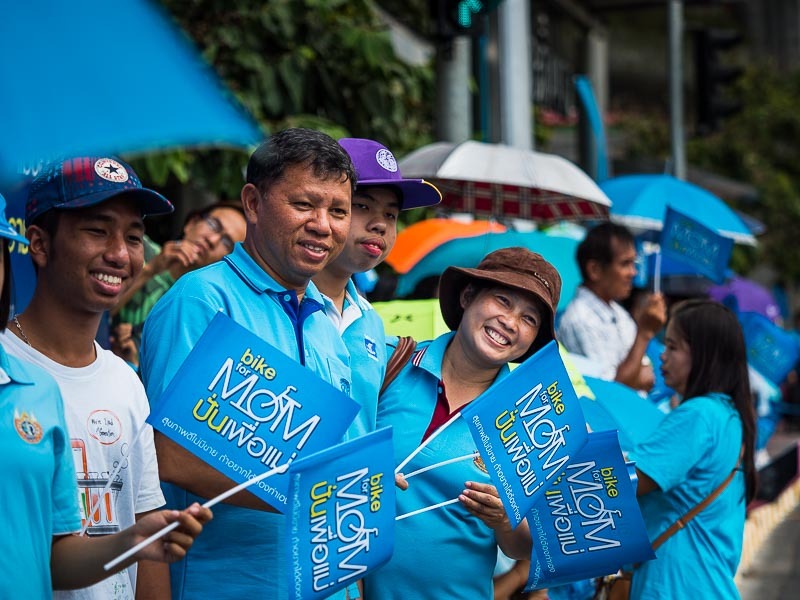 People gather in Victory Monument before Bike for Mom hit the road. 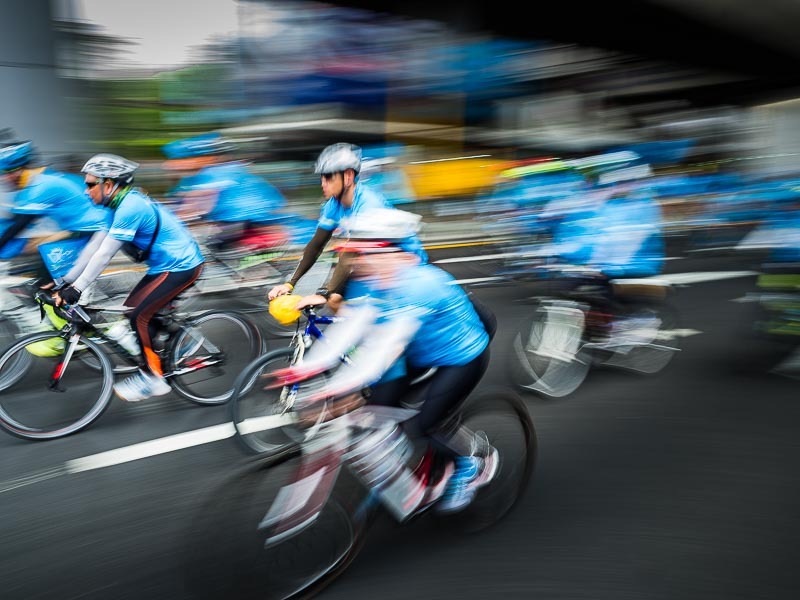 The government wanted the event to get into the Guiness book as the biggest mass bike ride in the world. Apparently the previous record holder was in Taiwan, with some 70,000 riders verified. That seems like a lot. I have to admit, I was a little skeptical. 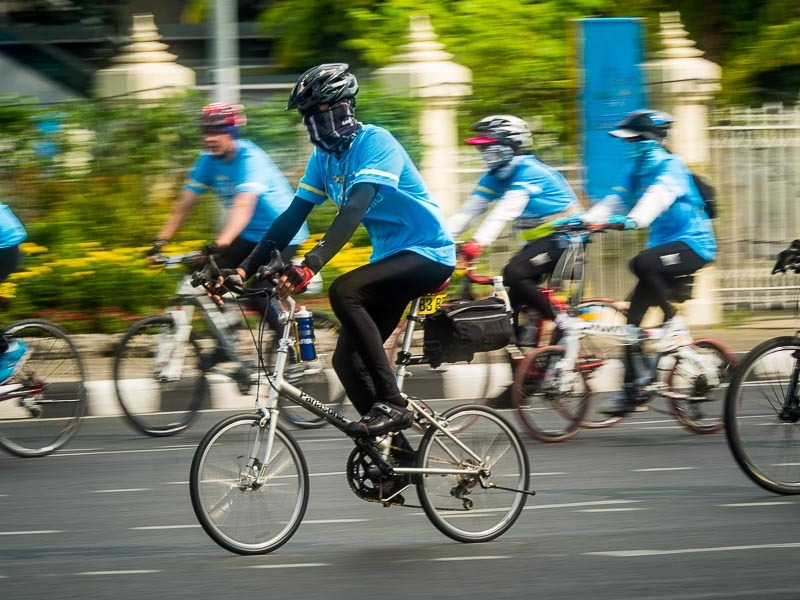 Although bicycles are a ubiquitous form of transport in Asia, they aren't in Thailand. Thailand's economy, which is more advanced than its neighbors, means many people have moved on from bikes to motorscooters and cars (as a trip in Bangkok during rush hour will prove). Go to Phnom Penh or Yangon or Ho Chi Minh City (Saigon) and you'll see thousands of bikes on the street. Not so in Bangkok. A man snaps a "selfie" before the ride started. Cyclists go around Victory Monument. 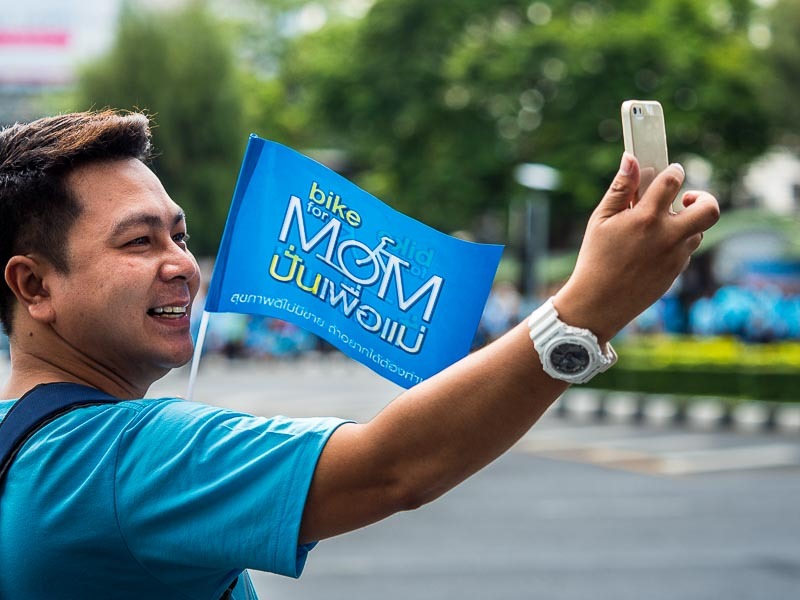 When the final tally was taken, more than 146,000 people Biked for Mom, guaranteeing Thailand a place in the Guiness book.